It is no secret that when it comes to fragrances my passion gauge seems to elevate immensely. 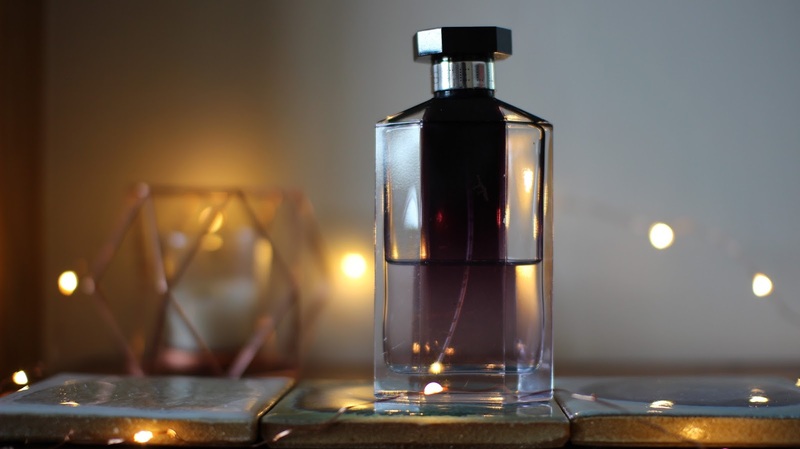 I really do believe that a fragrance is so much more than a scent, it can transport you into the arms of a loved one or a balcony surrounded by salty sea air in Italy or right back to your wedding day over 15 years ago...or longer in some cases. 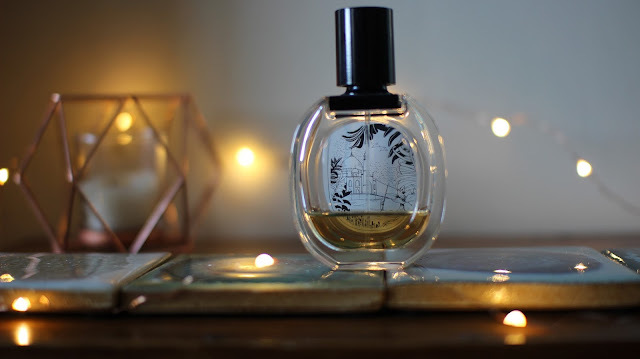 What I am trying to say is that a scent can be very powerful, it can produce and ignite memories some happy, some sad, others you forget ever existed but one spritz and you are right back there sat watching your mother apply her makeup at her vanity whilst she doused herself in Chanel No5. My collection has grown over the years but the core pieces remain the same regardless of the time of year. I do dip in and out and change things up seasonally but you will find the same 25-30 in my vast collection. 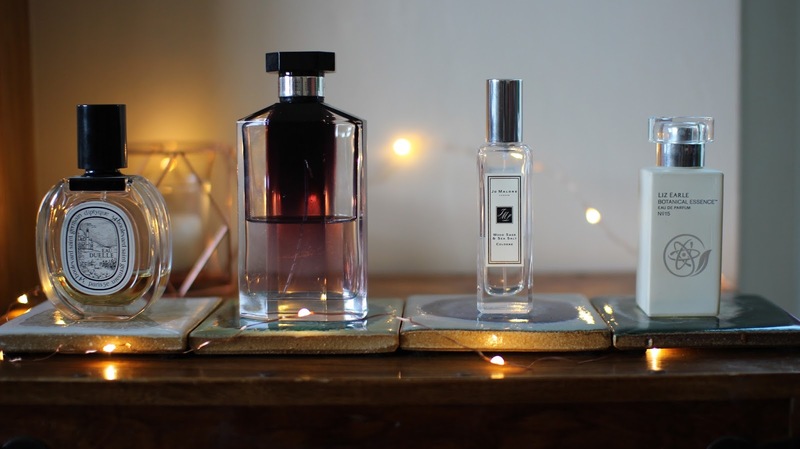 As Autumn is in full swing I thought I would share my top 4, scents that to me captivate this time of year and enrich my senses. 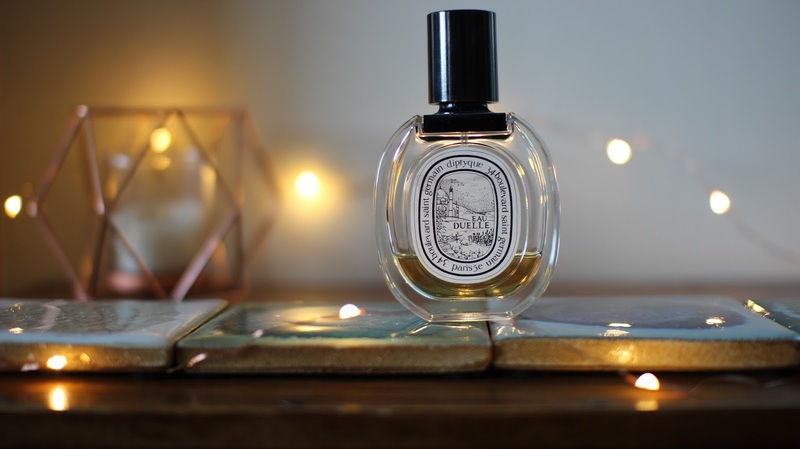 Eau Duelle is one of the all time greats, created by the french brand Diptyque, this scent boasts a combination of elegance and style. The bottle is beautifu, Doptyque have this amazing understanding about what makes a bottle look amazing and combined with their monotone is a perfume bottle that champions above the rest. It also has a curious illustration on the back that is hidden within the perfume, the more you use the more of the illustration is revealed and it is utterly charming. This scent is very strong and warming, it is rich in vanilla but not in a typical buttercream sort of way. I always describe Eau Duelle in the strangest way so bear with me, but this to me smells like you have a little pot with charcoal and you are burning vanilla pods in the woods with twigs, earth and leaves. It has almost a smokey element to it and is truly bewitching and very elusive in it's character. It is not the most typical of scents but that is why I love it so much, it is a very peculiar scent that has very complicated notes making it a very interesting perfume. Stella is my home away from home, it is a scent that to me feels so comforting that it can almost send me to sleep. My mother is a big fan of Stella and I think that is where it captured my love. I have wearing this perfume for around 15 years and to me it has not aged a day. The bottle is beautiful and evokes all that is romantic,classic and almost gothic, it is a very expensive looking bottle that has this unique ombré design that gives it so much individuality. Stella to me smells very classic and clean, it has a soapy scent that is bombarded with strong notes of patchouli. Patchouli is one of my favourite scents, it is very powdery and makes me think of bath time when the children were much smaller than they are now. I think Stella is the most wearable of all in this edit, I think it will appeal to a wider age range and because of it's clean scent be very popular. Stella for me is like being wrapped in my mothers blanket scarf whilst having a good long cuddle and it doesn't get much better than that. 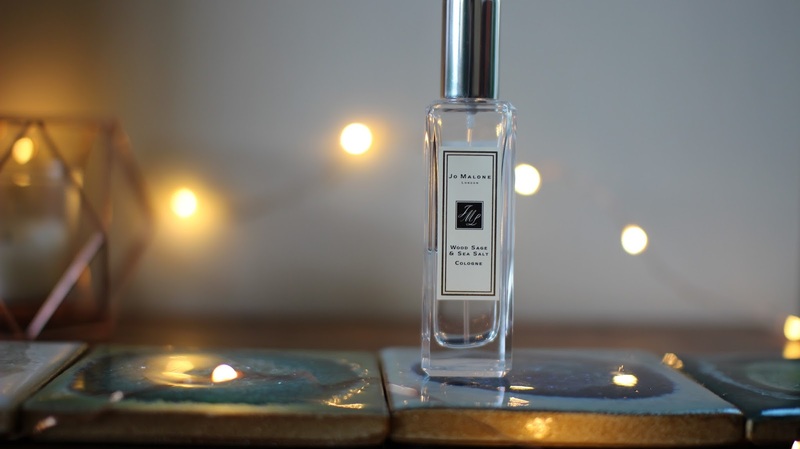 When I said Stella was my home away from home, well Jo Malone's Wood Sage & Sea Salt is my home. To me this is what I would call my 'signature scent' the perfume most people would associate me with and what 9/10 garments in my wardrobe smell like. This perfume embodies all that is outdoors, when I spray this I am instantly transported to a balcony surrounded by the sea. Again it is a very clean scent but it's also very complicated. This cologne is quite hard to describe, all I know is that it makes me so happy when I wear it and again it's that overwhelming sense of comfort it brings. The bottle is very minimalistic and has no bells and whistles...I think the real game-changer is what is inside and it never disappoints. This scent is not young nor is it mature I think it's a case of personal preference. Speaking of mature scents, the Liz Earle Botanical Essence no15 is one that I think would be more suited to the past 25 year mark. The only reason I say this is because it is a very complicated scent that changes over time and almost evolves. I think as I have got older ( I just turned 30 FYI ) my patience has grown and I can appreciate that sometimes you need to let scents mellow before their brilliance can shine through. This perfume in my opinion is a love or hate thing, I don't believe many will just say they are indifferent towards is or that it is just OK, because it is so heavy it makes a instant and lasting impression whether it is good or bad. 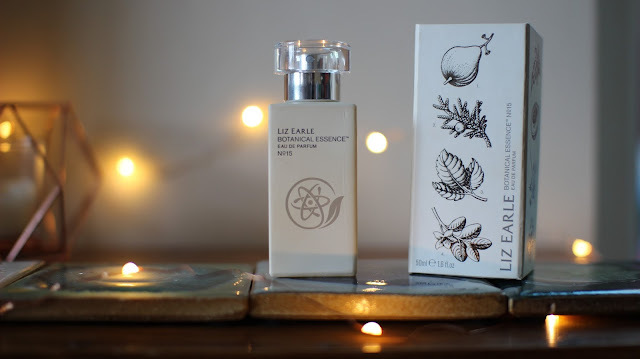 To me this smells very botanical but not floral, it is not a girlie or feminine perfume, I actually find this quite peppery and when my husband has had a spritz it sends me weak at the knees. It is very strong and bombarding so not for the wall flower in the room but I love it and I think it captures the wonders of nature and feels very mysterious. I think to wrap things up it is fair to say I like very complicated & strong scents. Scents that are a little less typical but to me feel like the most natural scents to wear. These are all very warming picks so perfect for the colder months and I think any of them would be a perfect asset for any collection. Which perfumes have made it into your Autumn edit?